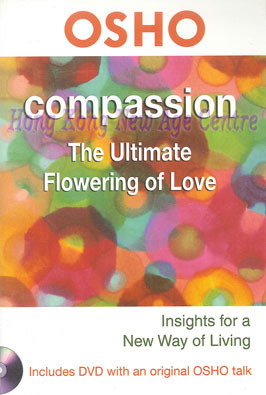 In this tenth volume of the popular Osho insights for a New Way of Living series,Osho examines the nature of compassion from a radically different perspective. He points out that’’passion’’ lies at the root of the word,and then proceeds to challenge assumptions about what compassion really is. Many so-called acts of compassion,he says,are tainted by a subtle sense of self-importance and desire for recognition.Others are based in the desire not really to help others but to force them to change.Using stories from the lives and Buddha and the world of Zen,Osho show how the path to authentic compassion arises from within,beginning with a deep acceptance and love of oneself.Only then,says Osho,does compassion flower into a healing force,rooted in the unconditional acceptance of the other as he or she is.